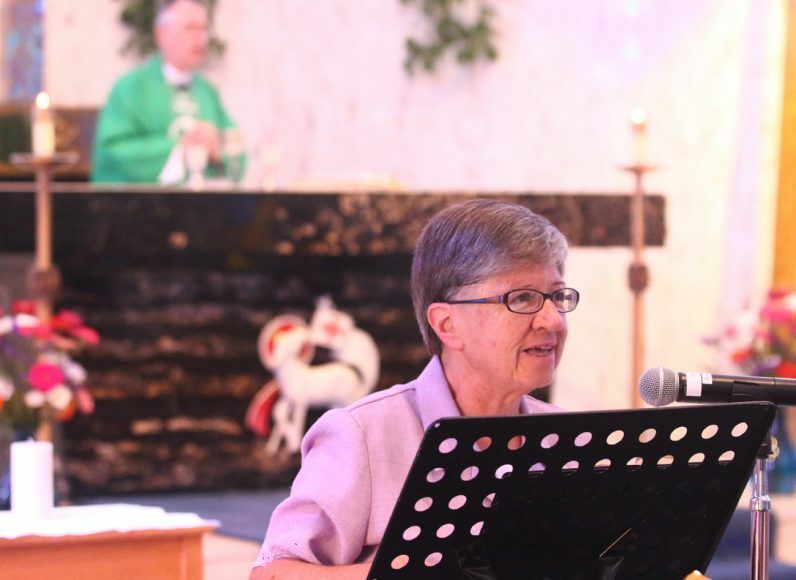 Regina Scheller from Wurzburg, Germany, became the newest volunteer with the Redeemer Ministry Corps (RMC) during a ceremony at the Missioning Mass on Sunday, Aug. 28 in the chapel of the Holy Redeemer Sisters in Huntingdon Valley. Holy Redeemer Sister Sophia Glam (left) offers a sign of peace to Redeemer Ministry Corps volunteer Regina Scheller (right). 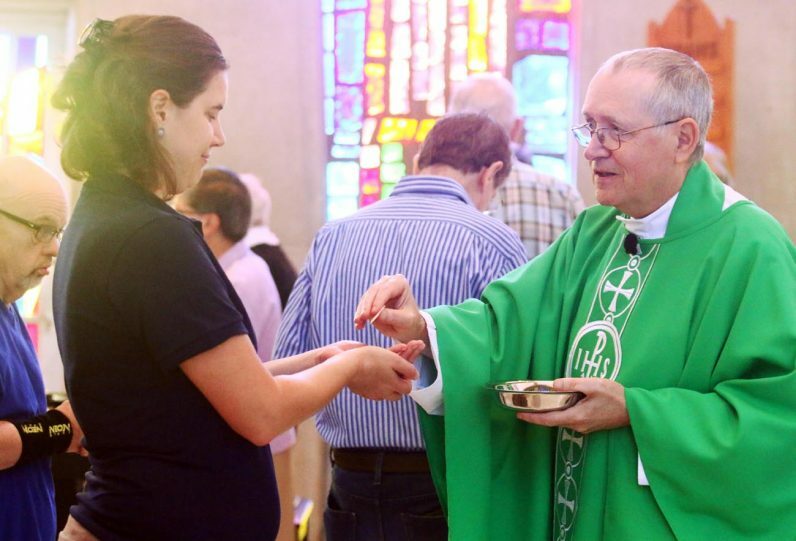 Father Laurence Gleason distributes holy Communion to Regina Scheller. Sister Anita Bolan lends her voice as cantor during the Missioning Mass for RMC volunteer Regina Scheller. 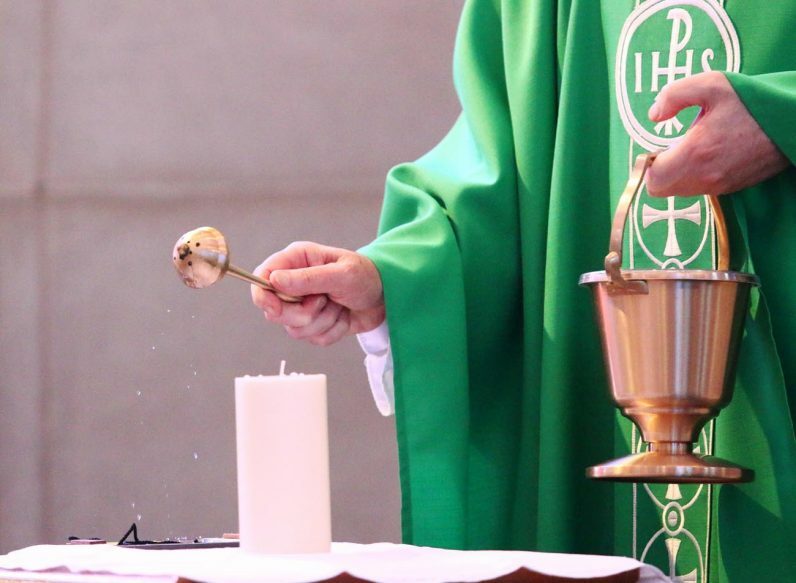 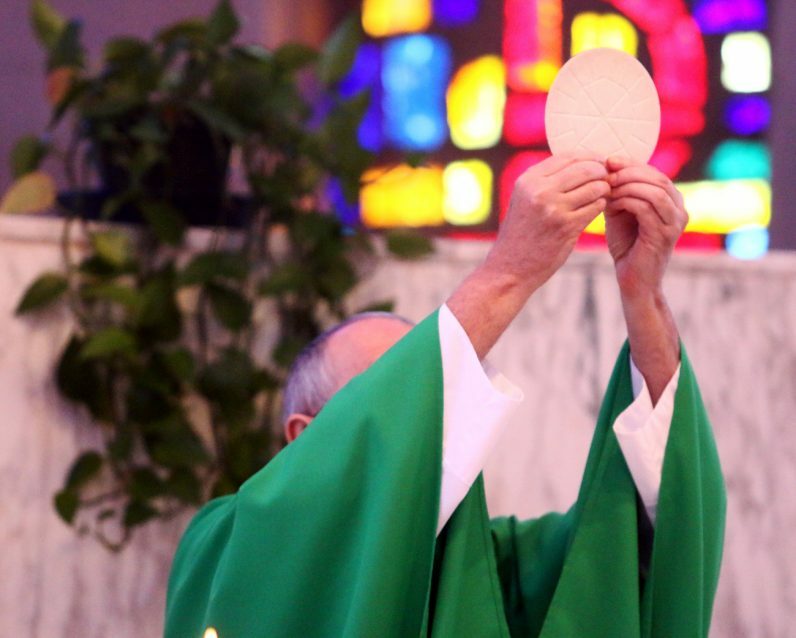 Father Laurence Gleason elevates the eucharist. 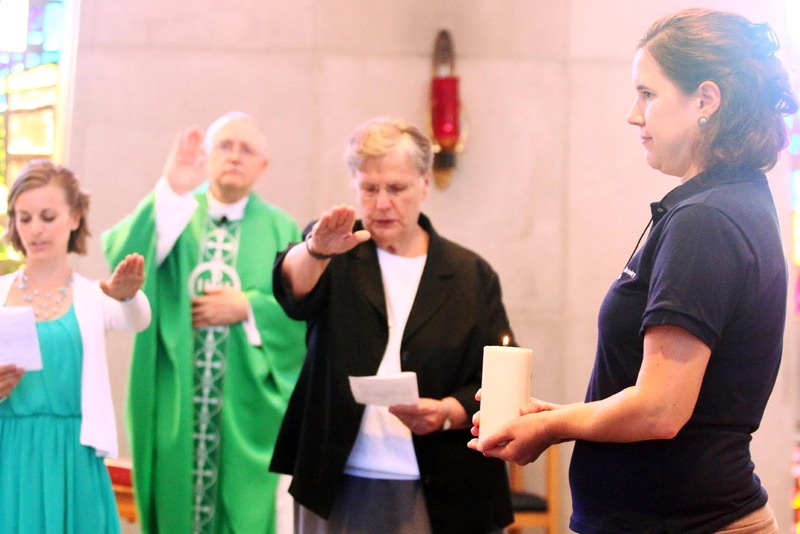 Father Laurence Gleason, chaplain for Holy Redeemer Health System, blesses the cross and candle that were presented to Regina Scheller, RMC volunteer. 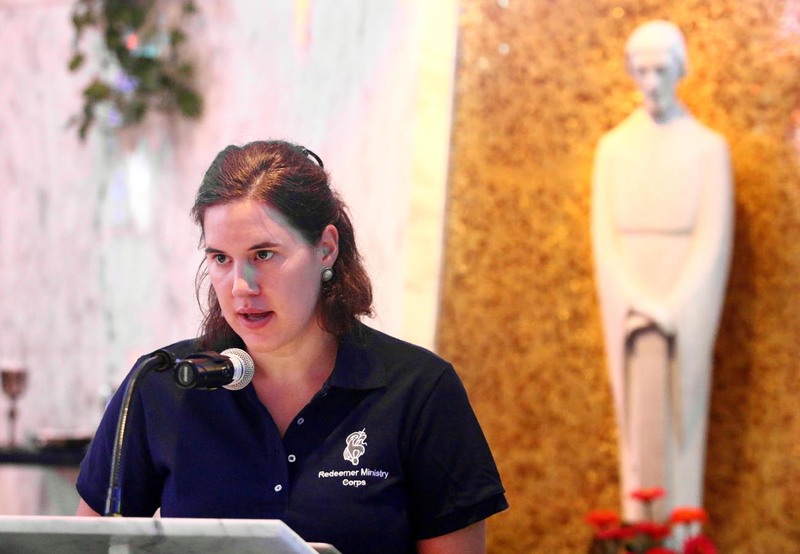 Redeemer Ministry Corp volunteer Regina Scheller reads her mission statement during the Missioning Mass. 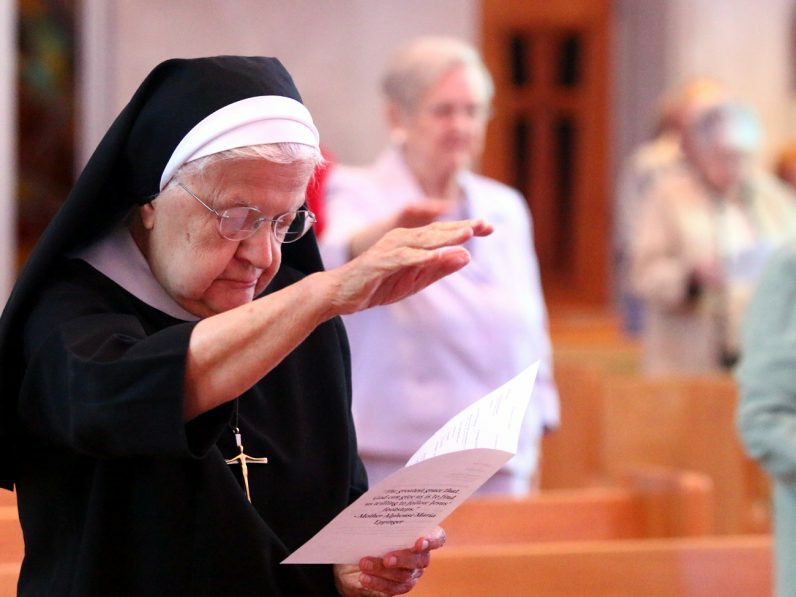 Sister Mary Alphonse along with members of the community extend their hands to pray for Regina Scheller as she begins her year of service with the Sisters of the Holy Redeemer. 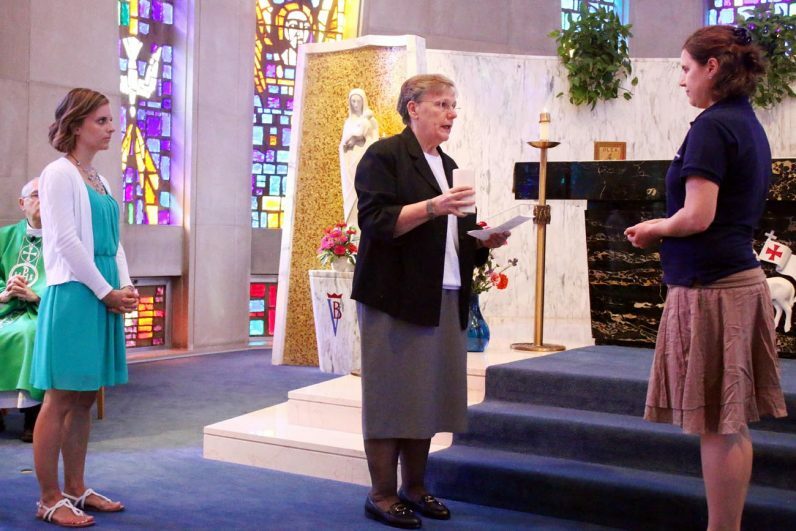 Lisa Mehalick, director of the Redeemer Ministry Corps program, presents Regina Scheller with her cross as part the Missioning Mass to welcome Regina to the RMC. Sister Ellen Marvel (center) presents the candle to Regina Scheller which welcomes her to the Redeemer Ministry Corps as Lisa Mehalick, director of the RMC program, looks on. 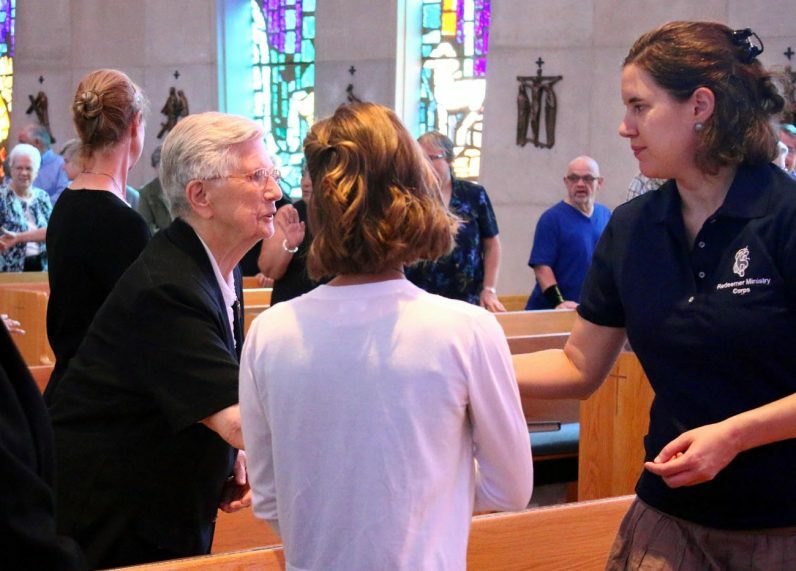 Blessing RMC volunteer Regina Scheller at the Mass are, from left, Lisa Mehalick, director of the RMC program, Father Laurence Gleason, chaplain, and Sister Ellen Marvel. 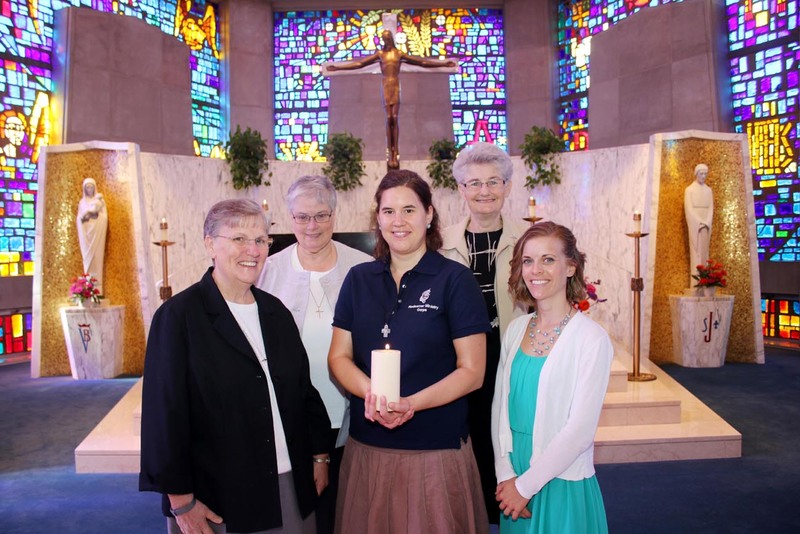 Regina Scheller, new Redeemer Ministry Corp volunteer, wears the cross and holds the candle she was presented with during her Missioning Mass. 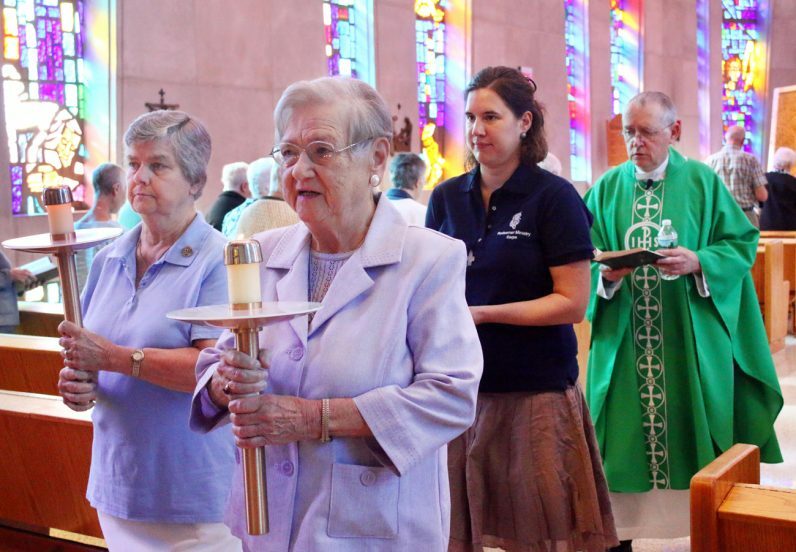 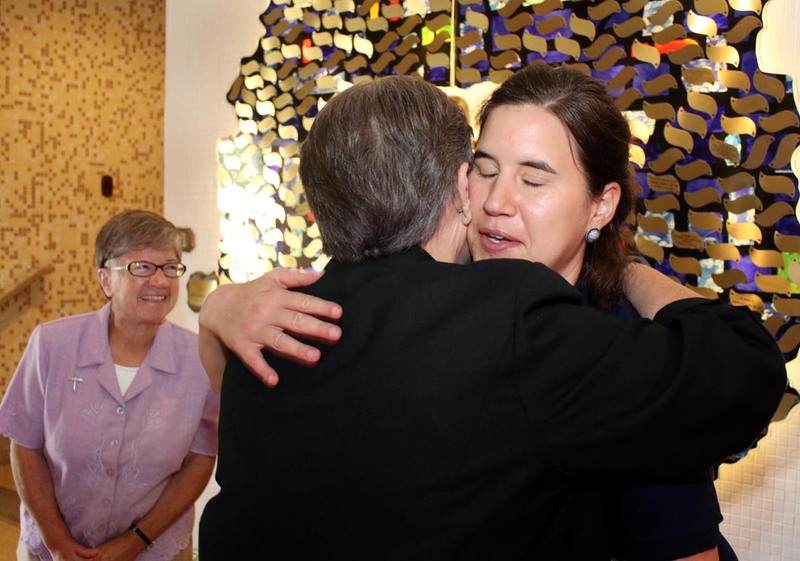 Sister Ellen Marvel congratulates Regina Scheller as Sister Anita Bolton looks on. 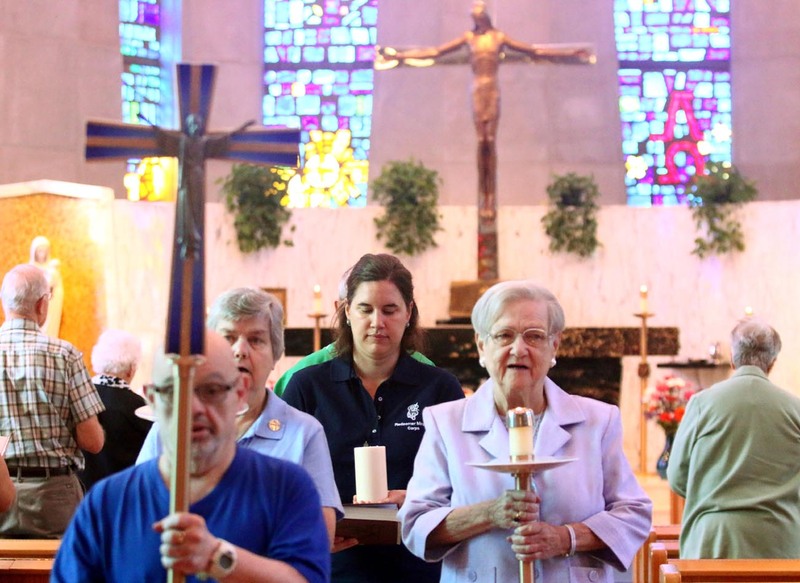 A group photo after the Mass shows (top row from left) Holy Redeemer Sisters Barbara Deitrich and Anne Marie Haas, and (bottom row from left) Sister Ellen Marvel, RMC volunteer Regina Scheller, director of the RMC program Lisa Mehalick. The Mass marked the start of the 2017-2018 volunteer year as well as the 35th anniversary of the Redeemer Ministry Corps program. 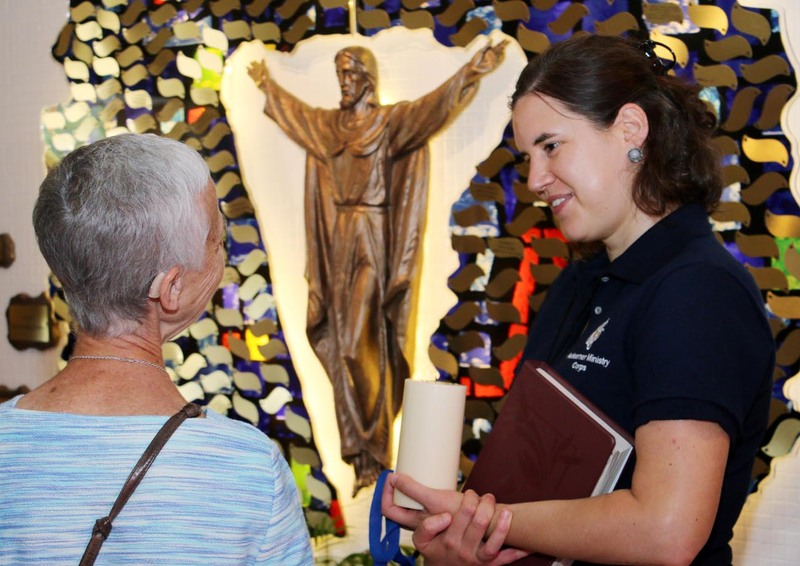 It enables young men and women who wish to commit themselves to the charism of the Holy Redeemer Sisters to live in community, foster their faith life, live simply and offer a caring, comforting and healing presence to those in need. Many of the 130 RMC alumni continue working in the health care profession, social services or education. 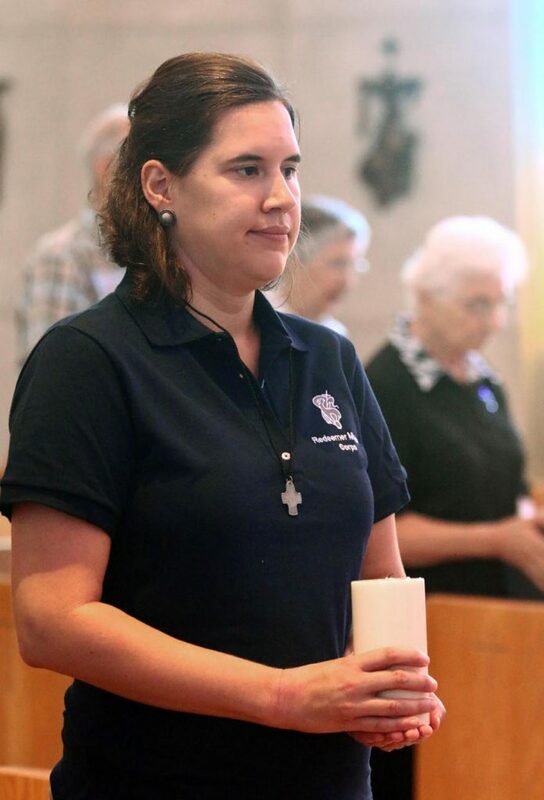 Some have continued to work at the sites in which they have served. 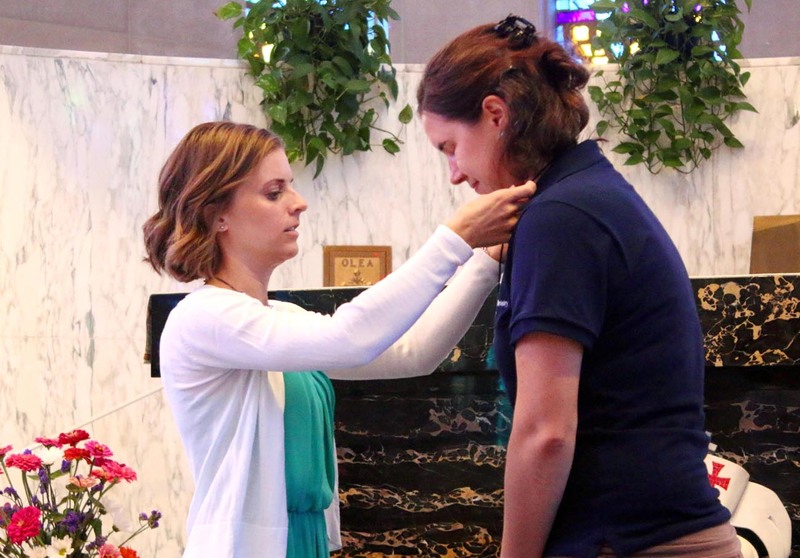 Others have become Redeemer associates and some have even gone on to become Sisters of the Holy Redeemer. 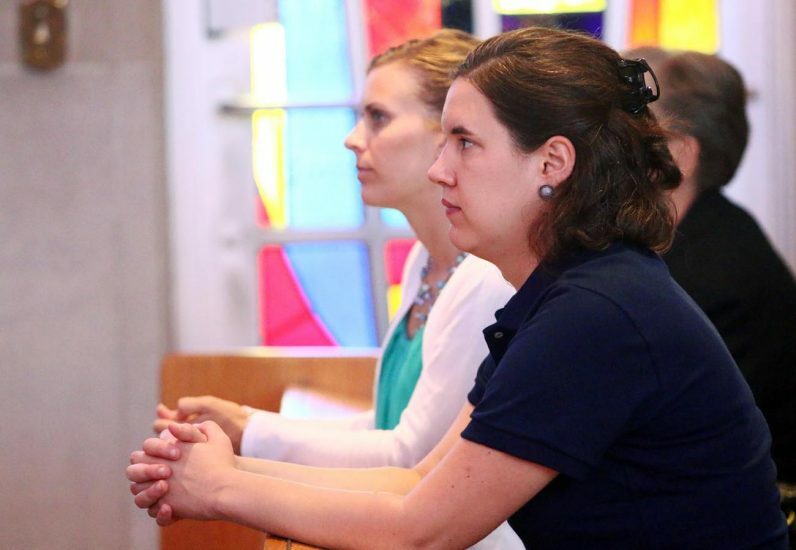 Scheller has been working as kindergarten teacher since 2006. 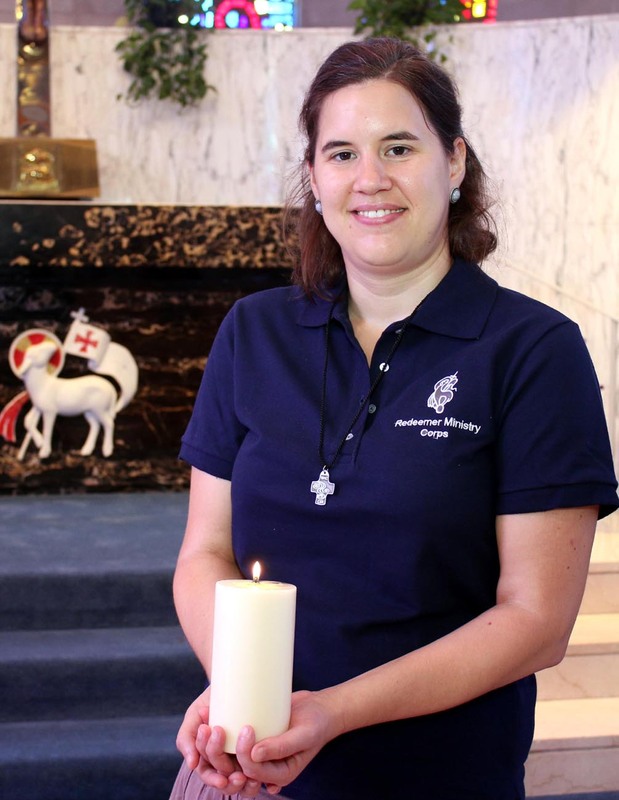 She will be serving as activities assistant at St. Joseph’s Manor in Meadowbrook. The week prior she participated in orientation where she developed a mission statement, describing what she feels called to do this year and what she hopes to achieve.